The cattery of Neva Masquerade cats "SIBIRSKAYA RAPSODIYA" located in the heart of Russia in Moscow city and specializes only in the breeding of Neva Masquerade cats. 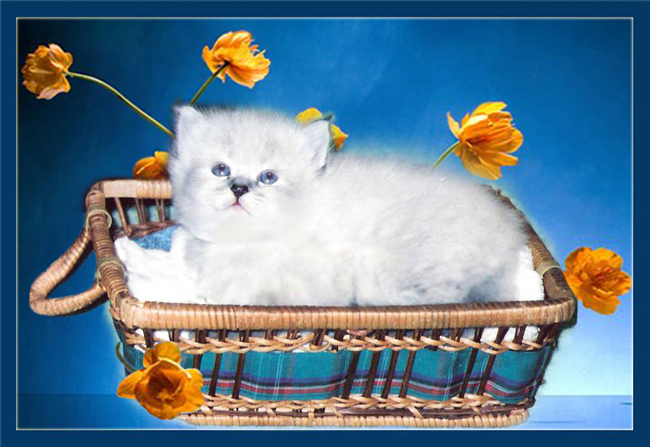 The main purpose of Cattery "SIBIRSKAYA RAPSODIYA" is the breeding of rare colors and superior gene lines for excellent breeding stock cats to be used for breeding and for companionship. Cats from " SIBIRSKAYA RAPSODIYA " attend international exhibitions regularly and have returned with honors. All cats from cattery are checked up on diseases, PKD and HCM are negative. The kittens of "SIBIRSKAYA RAPSODIYA" are reared with care, concern and love and as a result, they have outstanding health and remarkable good nature. Our kittens get used to people hands from the first days of their life. The owners of kittens purchased from "SIBIRSKAYA RAPSODIYA" are ensured of continuing support and advice. I would be happy to answer any questions you have concerning the Neva Masquerade breed and my cats. Some photos of Neva Masquerade kittens from our cattery.